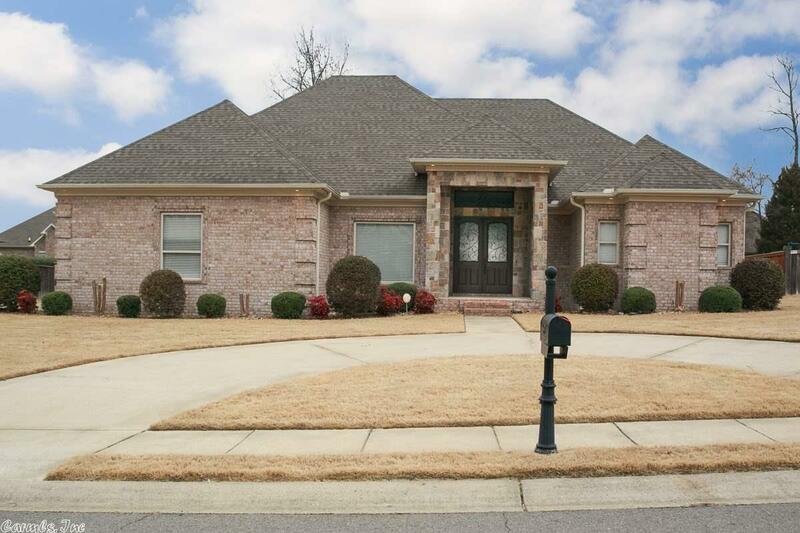 Amazing custom home in sought after "The Park" on Mountain Springs subdivision in Cabot. Great curb appeal with stunning wrought iron work front doors, stone and brick front porch and circle drive. Open floor plan features vaulted ceilings, 3 large bedrooms all with their own bathrooms as well as 4th bedroom/office. Two separate living areas have surround sound, formal dining room has built in hutch, kitchen with eat-in area and center island. Mature landscaping in fully fenced backyard. Don't miss it!